As you use a smaller aperture, the starburst will have more defined and stronger lines. So, at f/4 the sun will just look like a big blob of light, but at f/16 or f/22, you’ll see the strong light rays like in the photo above (it was shot at f/22). Also, the more blades your lens has, the more lines you’ll see in your starburst. Don’t get too caught up on this though, I’m sure every lens you already own has enough blades for the starburst to look good. When positioning your camera to capture starbursts, it’s very important to be careful. You don’t want your camera to look directly into the sun—that could damage your eyes and/or camera. 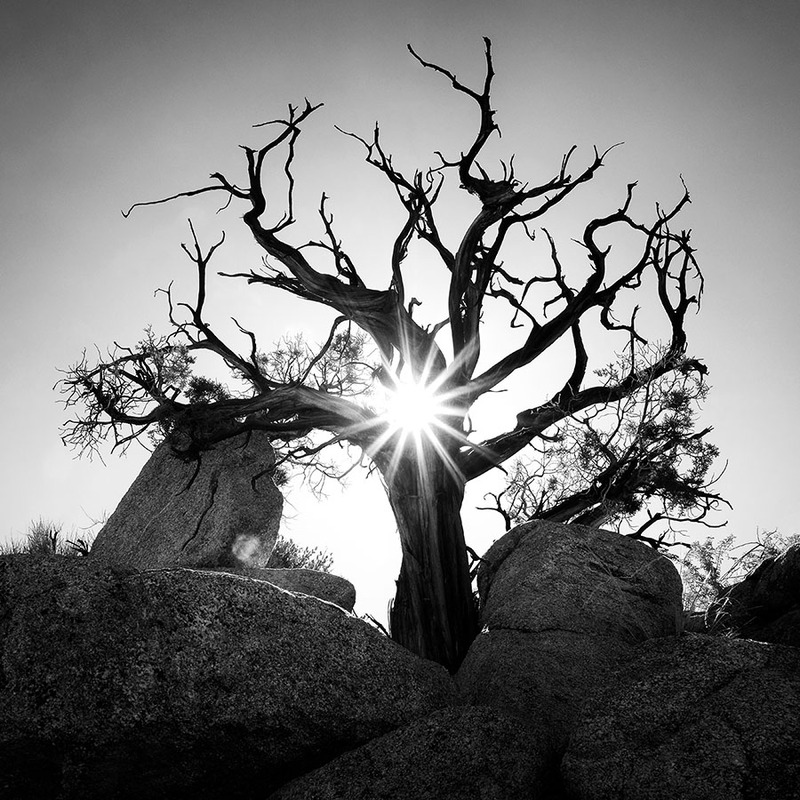 Instead, start with your camera in a position where an object is completely blocking the sun (such as a tree branch). Then, very slowly move your camera until the sun just barely peeks through the edge of the tree branch or rock or whatever else you’re photographing. Experiment a little with different positions, because the starburst effect will get stronger as more of the sun is revealed, but remember to be careful! You don’t want to go too far and have the sun completely exposed. You need to keep your eyes (and camera) safe!